On a daily bases Trattoria Benvenuto offers succulent Tuscan and Florentine dishes. The menu offers many alternatives, dishes of the day, and also fish dishes. You can choose among the classic Tuscan antipasti, a variety of crostini (toasted bread slices) like the ones with thinly sliced lard, or smoked sword fish, or again fresh pasta dishes, truffle, an unmissable Florentine (T-bone) steak, and again veal shanks or mixed boiled meats. You can end your meal with delectable homemade cakes. There is also an extensive wine list. 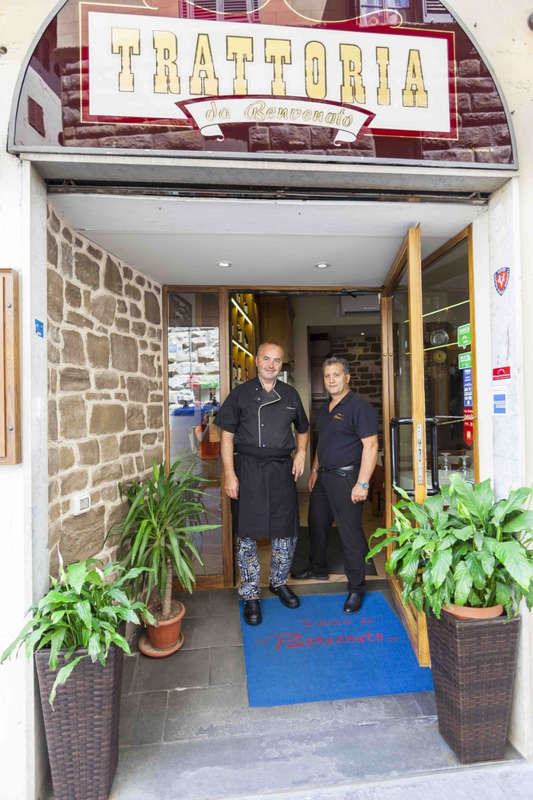 You can stop at Trattoria Benvenuto for a quick lunch break, for a working lunch or a nice dinner with friends.